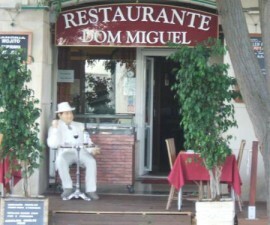 For tourists or travellers looking to experience the best of Vilamoura’s gastronomic offerings, one of the must-visit restaurants is Don Alfonso. Don Alfonso is not only known for offering the best food in the heart of Vilamoura, but also classy ambience and superb service. 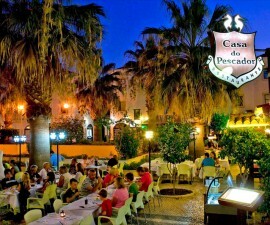 In fact, since 1985, the restaurant has been one of the top-rated restaurants in Algarve, garnering national and foreign visitors. Although Don Alfonso restaurant is not located right in front of the ocean, the restaurant still harvested a reputation of offering lovely setting for visitors to enjoy their meal. 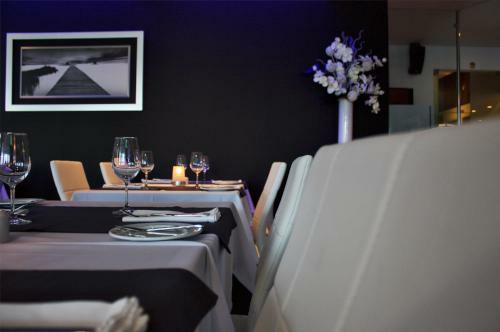 The restaurant gives emphasis on design and comfort, with its captivating interior and comfortable seats. Its attractive woodwork gives the restaurant a warm and intimate ambience, perfect for intimate dining with families and friends. The place is also perfect for small corporate meetings. 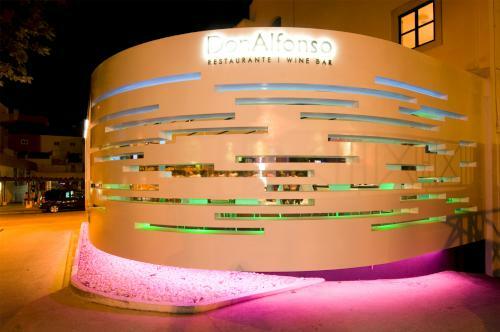 But more than offering classy ambience, Don Alfonso has also built up an enviable reputation for offering quality Portuguese, Mediterranean and international cuisines. And offering a wide range of must-try dishes created by experienced international chefs, there are definitely a lot of new options for visitors to try each time they visit the restaurant. Among the must-try food here are the mouth-watering Tulip Salmon and Clams in Garlic, as well as the steaks. But don’t leave the place without trying the restaurant’s most popular dessert: Crepe Suzette! Other must-try desserts here include their palatable cheese cakes, chocolate mousse in biscuit waffle, and mango pudding. Food presentations and prices are also worth mentioning. Visitors will not only enjoy quality food but also nicely presented food that is reasonably priced! Average main course cost is only 15-20 euros. Apart from food and ambience, Don Alfonso’s quality service and well-trained staff are also a reason to come back. The moment you enter the restaurant, you will not only be greeted by a lovely atmosphere but also by smiling staff. 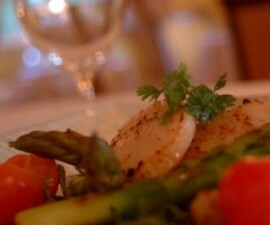 The restaurant’s staff is well-trained and always attentive to each visitor’s needs. The restaurant is open from 4pm and serves dinner from 6:30 pm to 11:30 pm. 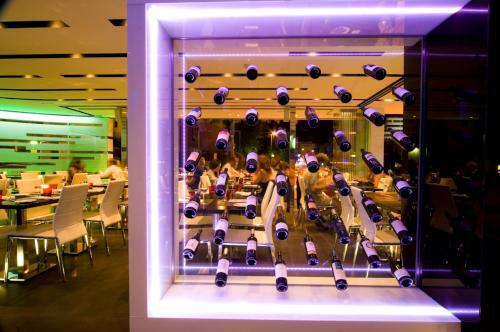 The restaurant also serves after dinner snacks from 11:30pm to its final closing time at 1:00 am. 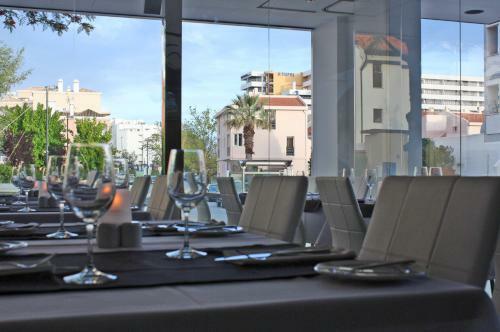 Don Alfonso restaurant is strategically located at the back of the marina, close of taxi terminal, and is only a 5-minute walk from any hotel in the heart of Vilamoura. 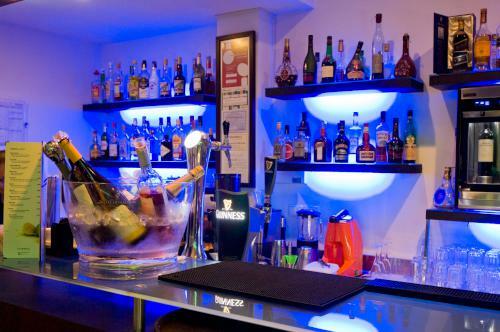 Since the restaurant is located at the heart of the holiday complex and close to the marina, marina night bars and night entertainment venues are just a few minutes’ walk away. After a sumptuous dinner at Don Alfonso, diners can head to the marina to experience the marina’s must-experience night life.